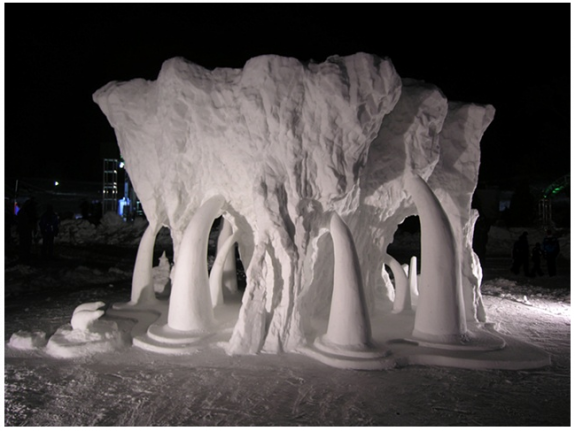 It is a very snowy winter, and I was inspired to do a post on snow sculptures. 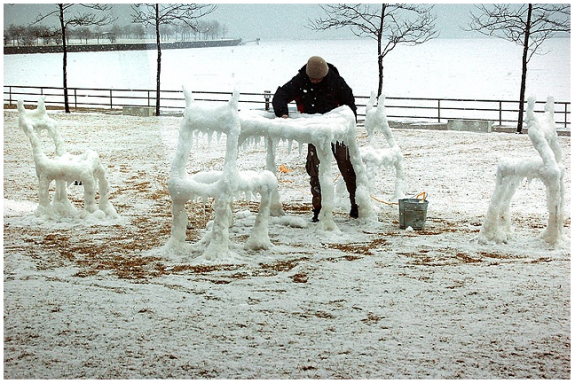 While there are many impressive snow sculptures appearing in competitions worldwide, there is a quirky and fleeting quality to the work of Hongtao Zhou. 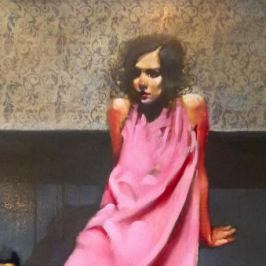 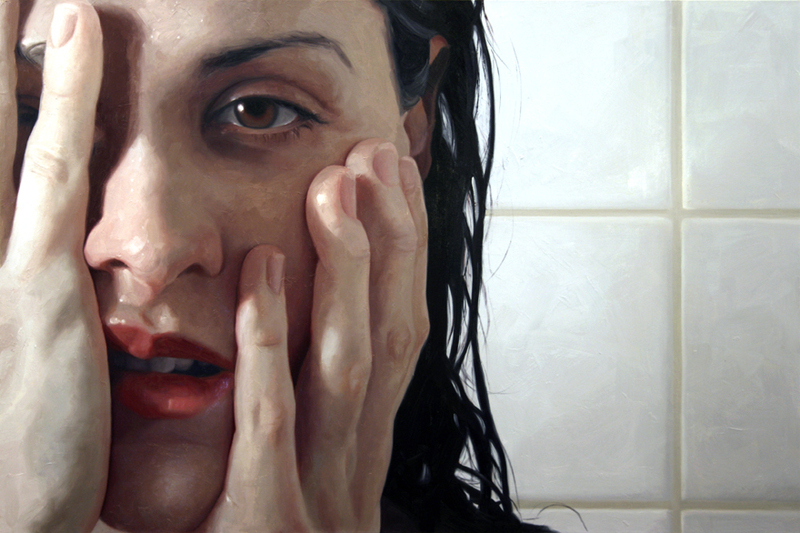 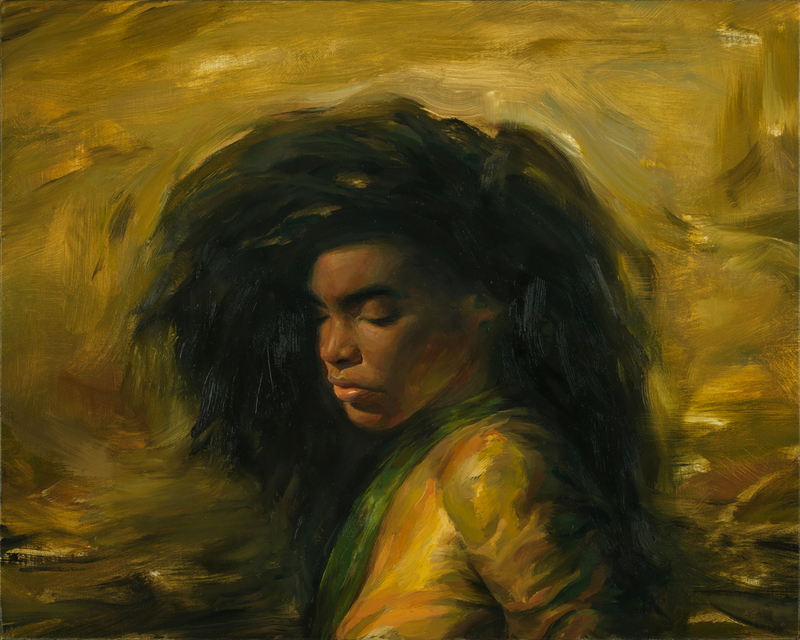 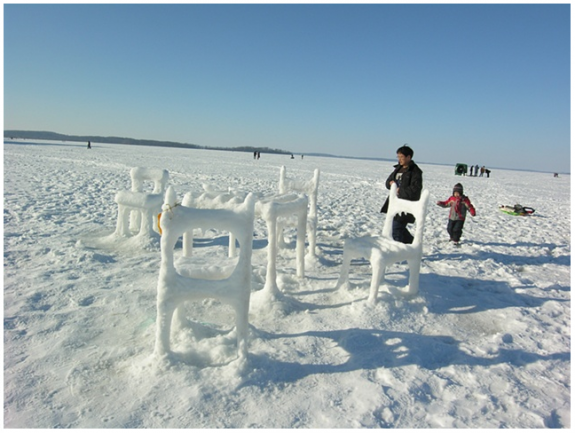 Originally from Harbin, China, Hongtao Zhou is now a furniture designer and sculptor at the University of Wisconsin. 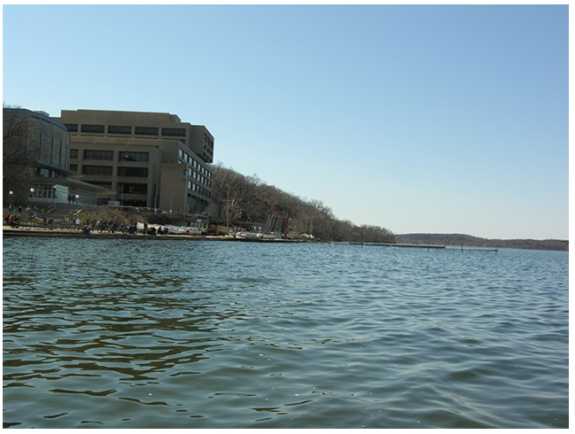 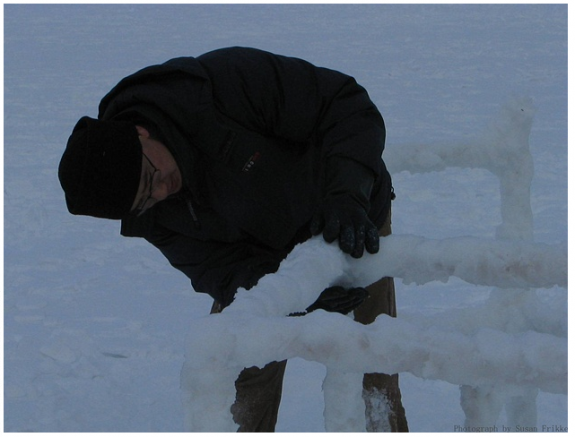 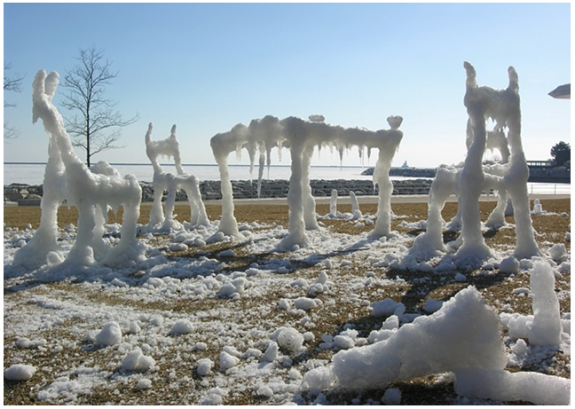 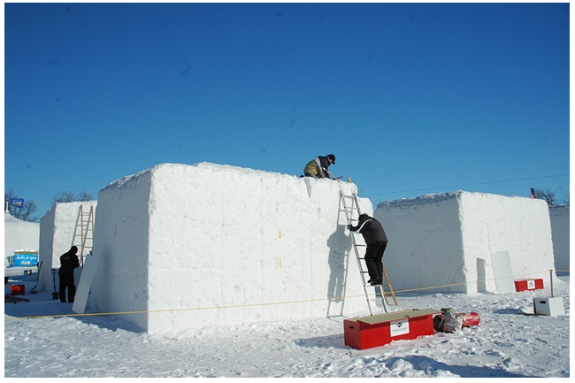 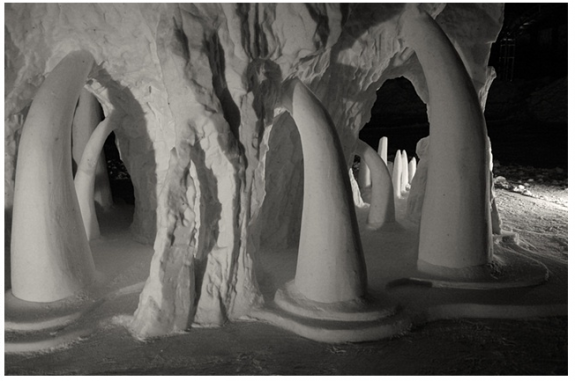 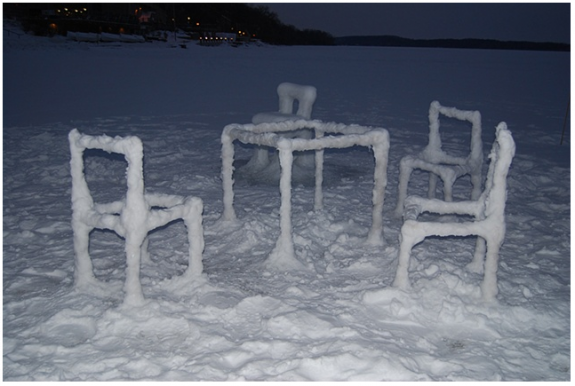 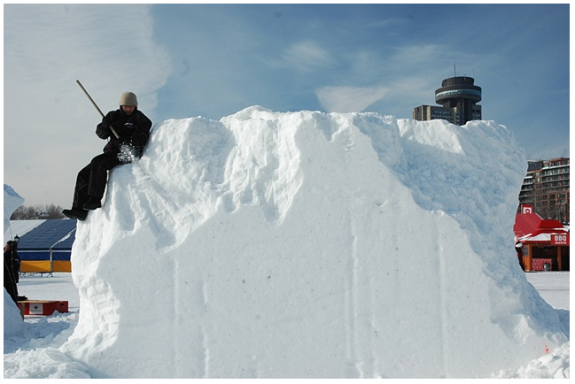 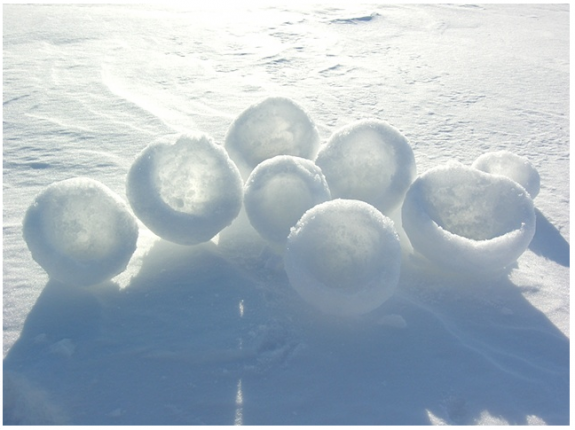 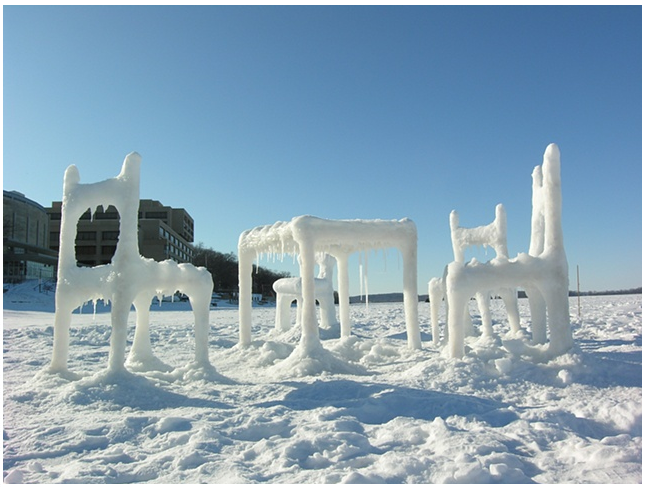 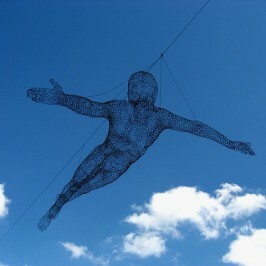 The images below are from an installation called, Ice & Snow Furniture Raised From Lake Mendota. 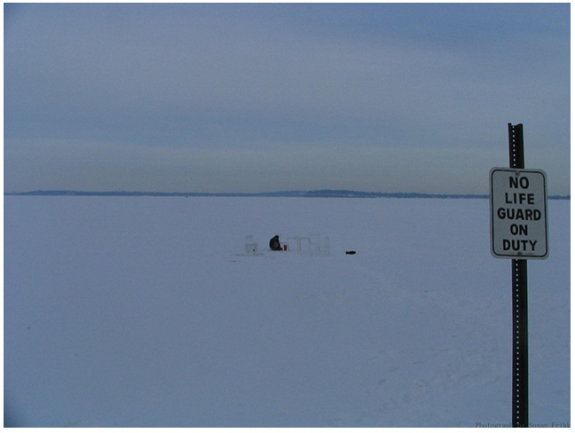 There's an irony, and something lonely, about the juxtaposition of furniture constructed out of snow set against the background of a vast icy lake. 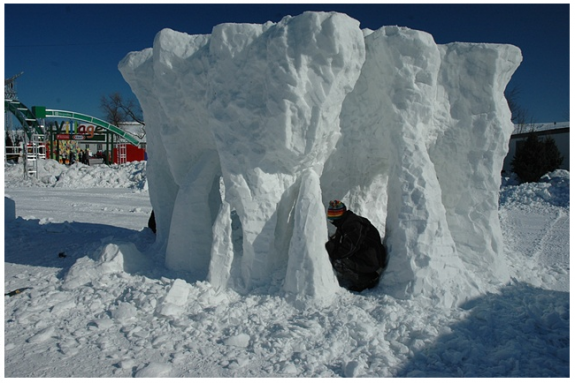 This sculpture called Leaking Glacier is about global warming and won the Silver Medal in the International Category, Snow sculpture event of the Quebec Winter Carnival 2010.